The Wabbit couldn't sleep. An audible alert kept sounding and he couldn't find it anywhere. He searched his wardrobe to track down all radio devices and found some he couldn't remember he had. But the annoying alert kept going. He examined clocks, computers, cooking appliances and cameras and they all started to beep too. The microwave, food mixer, toaster and kettle joined in. But they weren't exactly the same beep and the source of the original alert remained elusive. "Where the Binky is it?" muttered the Wabbit. He put his coat on, lifted two radios that he judged had the most authentic beep - and made his way to the street. By this time he was bad-tempered and he barely heard Lapinette scampering up with a beeping radio. "Wabbit, what's this alert? Even my fur drier is beeping." The Wabbit moved his head away from the radios. "They're not really beeps. They're analog. They're a recording of beeps." Lapinette was irritable. "Why? My automatic is beeping. My make up case is beeping. Everything is beeping." 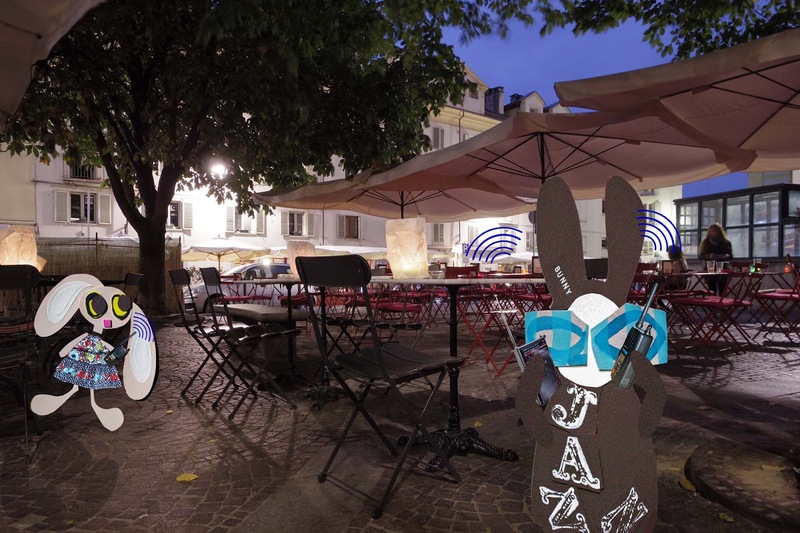 "It's a warning, copying itself to all your devices," said the Wabbit. "I know it's a warning!" yelled Lapinette, "but I want to be de-beeped!" "Maybe if we find out what the alert is for," murmured the Wabbit, "we can disable it." Lapinette's ears swivelled and focussed. "I can hear it now. And it seems to be moving." "Let's follow it, " said the Wabbit, "or we'll never get a wink of bleep."